The annulment and revocation of visa. Appeal against cancellation and revocation of visa. According to the Regulation (EC) No. 810/2009 of the European Parliament and of the Council (the cd. Visa Code), a visa shall be annulled where it becomes evident that the conditions for issuing it were not met at the time when it was issued, in particular if there are serious grounds for believing that the visa was fraudulently obtained. A visa shall in principle be annulled by the competent authorities of the Member State which issued it. A visa may be annulled by the competent authorities of another Member State, in which case the authorities of the Member State that issued the visa shall be informed of such annulment. A visa shall be revoked where it becomes evident that the conditions for issuing it are no longer met. A visa shall in principle be revoked by the competent authorities of the Member State which issued it. 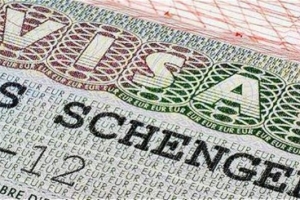 A visa may be revoked by the competent authorities of another Member State, in which case the authorities of the Member State that issued the visa shall be informed of such revocation. Failure of the visa holder to produce, at the border, one or more of the supporting documents, shall not automatically lead to a decision to annul or revoke the visa. A decision on annulment or revocation of a visa and the reasons on which it is based shall be notified to the applicant, who may appeal within 60 days before the Italian court, called TAR of Lazio, based in Rome. The assistance of an Italian lawyer is required by law. Santaniello & Partners is an Italian law firm in Rome, with internationally recognized expertise in immigration law and human rights. To know more about the appeals filed by Santaniello & Partners against the decisions of refusal, annulment and revocation of visas, please do not hesitate to contact us.